New Jersey residents are divided over legalizing marijuana, one of Gov. Phil Murphy‘s major campaign promises and priorities for the coming year. A Stockton University poll released Wednesday found 49 percent of New Jerseyans said they were on board with expanding marijuana sales to adults 21 and older, while 44 percent opposed it and 5 percent said they were undecided. “These poll results suggest there is not a consensus in New Jersey on whether marijuana should be made legal,” said Michael W. Klein, interim executive director of the William J. Hughes Center for Public Policy at Stockton. Nearly one in four pro-pot people said they were persuaded by the potential tax revenue it would generate, while 22 percent said marijuana is safer than alcohol, and 11 percent said it was safer than tobacco and other cigarettes. Another 11 percent say they favored legalization because it would reduce law enforcement or prison costs, according to the poll. One in four people said they would try pot for the first time or continue using it if it was legalized. More than half of the opponents said they feared legalizing pot would cause health problems and create more addicts. Nearly one-quarter said they worried it would provide a gateway to harder drugs, the poll said. Murphy’s hope to sign a law legalizing weed has hit a snag, as some state senators — including some fellow Democrats — have informally said they will vote no. Sen. Nicholas Scutari, D-Union, has not yet scheduled any hearings on his bill to change the law. On another big priority for Murphy, nearly two-thirds, or 64 percent, support his hike taxes on New Jersey’s millionaires, according to the poll. A total of 29 percent are against it and 3 percent are unsure. The move would give the state about $765 million in new revenue. State and federal law declared marijuana as dangerous as LSD and heroin nearly 50 years ago. 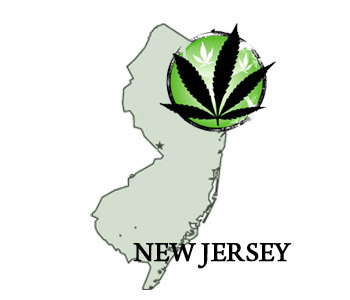 But a recent state court decision said it’s time New Jersey revisit that decision, as the acceptance of cannabis as medicine rapidly grows. And New Jersey’s top cop wants to hear from you on this subject. Later this month, the state Attorney General’s Office will host four public hearings seeking input as to whether marijuana should remain a “schedule 1” drug, meaning it has a high potential for abuse and no accepted medicinal value. Scrapping this designation for pot would not lead to legalizing or decriminalizing the drug’s use, according to a statement from Attorney General Gurbir Grewal’s office. But it could reduce the severity of criminal penalties, or other ways it is regulated. The hearings are a direct result of a state Appellate Court ruling in October that concluded the Division of Consumer Affairs had the authority to re-classify marijuana from the “schedule 1” category of the most harmful of drugs. “Medical benefits from the use of marijuana not known in 1971, when the Controlled Dangerous Substance Act became effective…and impediments to its lawful use as a result of its Schedule 1 classification, are abundant and glaringly apparent now,” according to the opinion by Judge Michael Guadagno. Effectively immediately, doctors in New Jersey can recommend their patients use medical marijuana to treat anxiety, various forms of chronic pain, migraines and Tourette’s syndrome. Patients will also pay less to register with the program, have more locations from which to buy their medicine, and encounter fewer bureaucratic obstacles when they enroll, Murphy said in a press conference in Trenton. Murphy said former Gov. Chris Christie imposed a stigma on the program by making it hard for patients to qualify and cultivators to operate. Christie inherited what he called a bad law, and resisted most requests to expand the program, more than once calling them a back-door to outright legalization. The immediate changes, contained in a 28-page report by Health Commissioner Shereef Elnahal, expands the list of medical conditions based on an advisory panel’s recommendation from October. Get ready for massive expansion of N.J.’s medical marijuana program. Here’s the scoop. 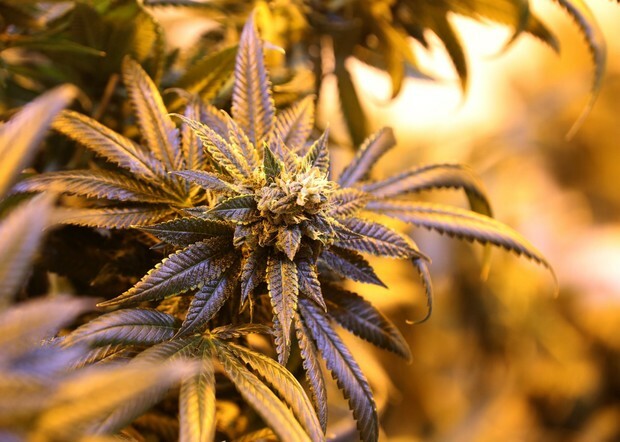 An audit of New Jersey’s limited medical marijuana program will recommend that Gov. Phil Murphy launch a massive expansion of the program, NJ Advance Media has learned. The suggested changes would loosen the program’s requirements and add medical marijuana shops across the state, according to people with direct knowledge of the Department of Health report who weren’t authorized to speak publicly. Governor Murphy is pushing ahead on marijuana legalization but has offered big promises and few details in his first budget speech. The governor is calling for full legalization in New Jersey by January 1, 2019 but, with several competing bills stuck in the Legislature and multiple listening sessions scheduled for the coming months, Murphy’s plan seems optimistic. In his first official budget address yesterday, the governor announced projected state revenues of $80 million from marijuana sales and taxation — $60 million from recreational use and $20 million from medical sales. The proposed tax rate would be 25 percent plus an additional 7 percent sales tax, bringing the total tax on recreational marijuana to 32 percent. “The only sensible option is the careful legalization, regulation, and taxation of marijuana sales to adults,” Murphy said. Don’t expect New Jersey to decriminalize recreational marijuana instead of legalizing it. The state’s top lawmaker, state Senate President Stephen Sweeney, said Monday that he’s opposed to a bill that would simply fine those caught with small amounts of pot, similar to traffic offenses. Under the measure, a person caught with less than 10 grams of cannabis would face a fine of $100 the first time, $200 for the second offense, and $500 for future violations. State Senate Minority Leader Tom Kean Jr., R-Union, said Monday the Republican caucus in the Legislature does not have a stance as a whole on legal pot. But Singer suggested another avenue: Ask voters in a referendum whether to legalize pot. “If they’re so assured this is a positive thing for the state of New Jersey, if they’re so assured that people want to do it, let’s put it on the ballot,” Singer said. “Let’s see it. “If you do it legislatively, you have the ability to move quickly to fix it,” he added. 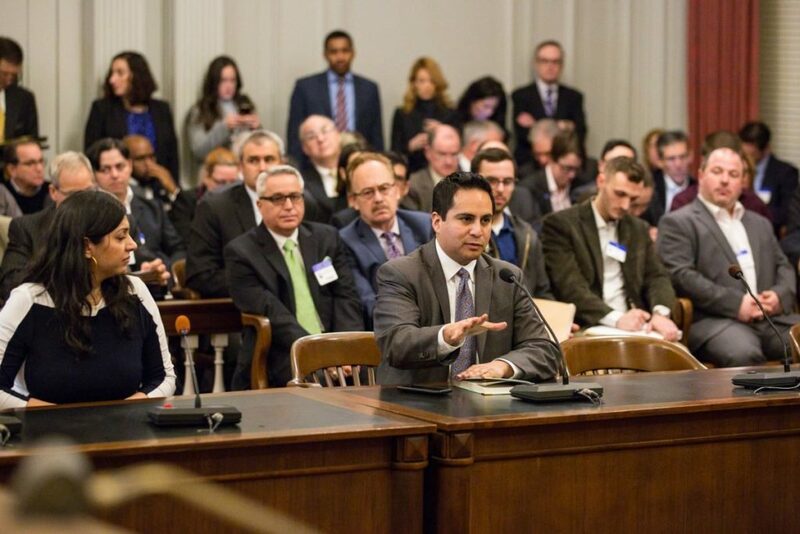 At New Jersey’s first hearing on legal pot this year, held in the statehouse, Colorado state Rep. Dan Pabon testifies about how legalization worked in his state. When New Jersey State Sen. Nicholas Scutari introduced a 62-page bill and primer on how to legalize marijuana almost one year ago, he chuckled when asked if it had a prayer of passing. The legal sale of recreational marijuana had not yet begun in any other East Coast state, and yes, Chris Christie, the Republican governor at the time, had threatened a veto. Gov. Murphy, a Democrat who promised on the campaign trail that he would give legal pot the green light, is now in his third month in office. But no legalization bill has landed on his desk. None has even made it to the floor for debate, despite a Democratic majority in the Legislature and pledges from party leaders that this would be a priority. “Many lawmakers are still undecided,” Scutari, a Democrat from Union County, said last week. In January, he predicted legalization would be approved by the spring, possibly the summer at the latest. But now he says it might take a little longer. “Politicians are not known as a courageous bunch, and it’s a topic people want to get comfortable with. … After 90 years of indoctrination that this is a bad substance, we have to turn people around, educate them,” said Scutari, a municipal prosecutor who two years ago led a bipartisan delegation of lawmakers to Colorado, the first state in the nation to legalize, to see for themselves how it was working.